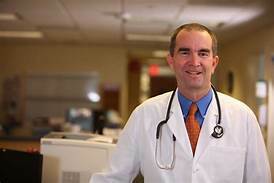 I would not want Dr. Ralph Northam, any of his fellow students or anyone on the staff that taught at the medical school he earned his degree in charge of my health. If any of the people associated with him knew of this immoral photo and did not tell him to delete it, they are complicit. The truth of the matter is that even those in the medical field, who we are supposed to trust to “do no harm” are harming Black folks every day. (https://health.usnews.com/health-news/patient-advice/articles/2016-02-11/racial-bias-in-medicine-leads-to-worse-care-for-minorities). This apology happened several years ago and it was hardly any discussion on this important matter I believe the entire healthcare debate boils down to America not wanting to give people of color adequate medical coverage. Part of the problem also is the lack of African Americans in the medical field. As recently as 4 years ago, our local university was threatened with loss of accreditation for it’s lack of diversity. In a city with a Black population of over 80%, they had 3 Black med students graduating out of a class of 250 then. Actually I think one of the students was a dark skinned East Indian. In either case, the numbers are shameful. People forget that a few years ago, the American Medical Association issued and apology for all the rotten thing they have done to Black folks for the last 150 years. (https://www.cunninghamgroupins.com/ama-apologizes-for-past-racism). I would be dangerous, even deadly to think that a doctor with his apparent disdain for Black people can dispense care fairly. I would not want him treating me or anyone that I know because medical treatment is a life and death matter. I certainly would not want him representing me as Governor either. You would think giving approval on the Tuskegee-like Experiments in his state would get rubber stamped with no hesitation or deliberation. All it would take is proper coding language and insinuation or implication as to the lack of benefit to black people. Everything to him seems a joke on black people with an expectation that blacks pay for their own oppression.